The new design has the same feel as the old one, but should load faster and it makes better use of the available screen space. The trade-off is that it’s less friendly to those at 800×600 and below. New pattern templates. Achernar has been significantly re-worked, the rest just got a facelift. About/Contact pages are gone. Everything you need to know is in the top right corner. New commenting functions and organization. Go ahead, try it! We’ve got gravatars, threaded comments, and subscribe to comments so you can get an e-mail whenever a new comment is posted. Plus lots of nifty changes to the backend that make my life easier. 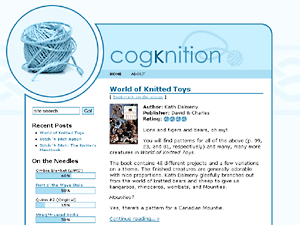 CogKnition posted this on January 12th, 2009 @ 5:06pm in Site Updates | Permalink to "Redesign: All Clear! (I Hope)"
I like the redesign! It’s easier to read, at least for me. Did you have that cable (on the left side) before? If so, I never noticed it – nice. The cable was actually in the background before. I shrunk it and stuck it in the left border for the sake of design continuity. 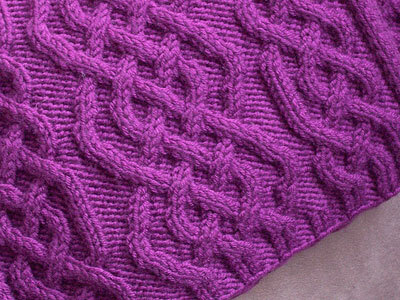 can’t wait for the cool pattern… of course, i already have a million and two scarves, but what’s another one, right? Wonderful new design. The name of your blog caught my eye – very clever! Welcome to the blog! I hope you stick around.